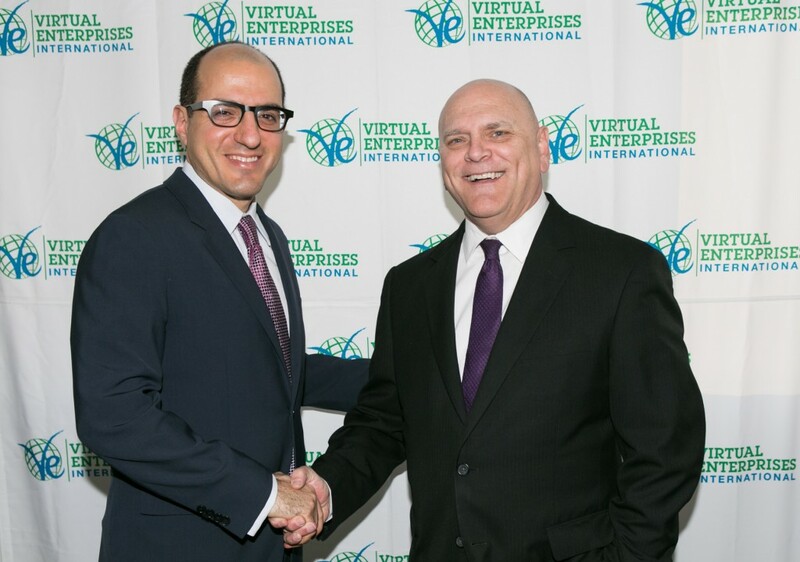 VEI honored New York Life and Jack Hidary at the 2nd Annual Evening to Benefit VEI on April 1, 2014 for their support of VEI. New York Life was presented with the Noel N. Kriftcher Service to Education Award while Mr. Hidary received the Global Citizen Award for Innovation and Economic Development. Dr. Noel N. Kriftcher–leader, scholar, visionary, champion of equal opportunities and philanthropic causes, mentor, coach, humanitarian, devoted family member and friend. New York Life Insurance Company, a Fortune 100 company, is the largest mutual life insurance company in the United States. Founded in 1845 and headquartered in New York City, New York Life and its affiliates offer life insurance, annuities and long-term care, institutional asset management, trust services, securities products, and retail mutual funds. Virtual Enterprises International is extremely fortunate to count itself among the recipients of the New York Life Foundation’s generosity and vision. With an initial grant of $1 million from the Foundation, VEI has been able to spread its wings and bring its extraordinary learning opportunities to hundreds of deserving students from underserved communities across the nation. We are both very proud of and extremely grateful for our association with New York Life and the New York Life Foundation. Watch Mr. Boccio explain why New York Life is a strong supporter of VEI. Introduction by Josuel Plasencia (Class of 2013). Jack Hidary is a lifelong New Yorker, entrepreneur and committed advocate for public service, education, sustainable energy and economic growth. Mr. Hidary was born and raised in Brooklyn in a community of entrepreneurs. His grandfather and uncle started a business which his family still runs 60 years later. After cofounding EarthWeb (now Dice Holdings) a leader in online tech jobs, and handing off management to a new team, Mr. Hidary became active in public service, particularly in helping small businesses grow and championing new models of education. In addition to serving as an associate partner at the Partnership for NYC, a trustee of the Citizens Budget Commission and a member of the steering committee of the ABNY, he has been a board member of Trickle Up, which helps thousands of entrepreneurs start small businesses each year. of the Clinton Global Initiative and serves on the board of the X Prize and the advisory board of Google X Labs. Watch Mr. Hidary’s powerful acceptance speech and his reasons for why VEI is so critical in preparing students to thrive in today’s economy.